The Biblic Festival started in May 2005 in Vicenza on initiative of St Paul's Society and the Diocese of Vicenza, from a proposal of the local St. Paul's Cultural Centre. It soon gathered the interest and the engagement of many clerical and social groups and associations, even outside Vicenza area, so raising a great interest in all Venetian Region and in most parts of Italy. In the last three Years it has been enjoying the support of the Dioceses and the cities of Verona, Padova and Adria-Rovigo. The Festival focuses on the Bible and its richness, which is often not well known nor understood. But It can raise the variegated interest of common people, public and private bodies and associations, with their different speeches and sensiblilties of post-modern mankind. The humble strenght of the Holy Word stands as a Key to read and undestand the reality, to revive new paths for the Church and the all the World in order to give lfe to added social values. Ecology has risen a great interest today. But it is also a great subject in the exegesis of the Holy Writ, when we look through the text for the right balance between mankind and the environment. It has always been a deeply rooted subject in Christian tradition, starting from the Fathers of the Church and following with St Frances from Assisi. Nowadays oecology has reached an improved interest, not only aiming at a necessary wildlife preservation but also as a paradigm to disclose a new way of looking at all mankind and its social rules as an oecological system. It is worth mentioning that while the Expo is focusing on the food and oecology matters, Pope Frances letter has underlined the need of preserving the nature as a way to save also human social values. Cultivate to preserve and preserve to cultivate. From a point of departure of simply preserving the wildlife, endangered by an excessive exploitation and by technological alterations, thoughts have risen towards an active dimension. From a simple effort to keep all we were gifted as an heritage for future generations, the message of custody has become more and more the need of cultivating all created things. But the idea has now grown and spread towards promoting and improving the nature without dominating it, while understanding and respecting its rules. This was the summit of the message we can find in western monachism, mainly in the oecological experience of Cistercian and in the oecolocical humanism of Camaldolite monks. What is offered by the Bible about preservation and cultivation is a mixture of active and passive attitude, of protection and promotion, of care and transformation, under the different forms: exegetical, anthropological, literary, artistic, musical and spectacular, where the integration of preservation and cultivation is revealed. This is the great theme we would like to probe into during the 11th edition of our Festival. The right balance between a passive and an active role in wildlife preservation and improvement. Let's do it with the help of the Holy Writ while attending lectures, speeches, entertainments, shows, exhibitions and art experiences! The 11th edition will be held from 21 May 21 to 2 June 2015 in Vicenza, Verona, Padova, Rovigo and in more than ten towns of Vicenza Province. In order to be constantly informed about the event, visit the internet site www.festivalbiblico.it. Further information can be asked to the secretariate: Segreteria Festival Biblico, Viale Ferrarin n. 30, 36100 Vicenza; tel. +390444937499, e-mail: segreteria@festivalbiblico.it. During the event, a great number of meetings, speeches, shows, plays, games, entertainments, lectures, songs, meditations, exhibitions and many other forms of communication will take place. They are meant to help adults, children and young people to better get to know the Bible and to understand its perennial values and, so, the roots of our civilization. Special attention is made towards people who already have a deeper knowledge of the Bible. There are more than 200 meetings among the beautiful buildings, in the churches, in the streets, in the museums, in the cloisters and in the most fascinating sites of the promoting cities and towns. These locations are suitable places to get more and more people in touch with the Bible: the big religious and cultural codex which stays at the roots of our civilization. People can meet and speak, with the help of lectures, artists, writers, painters and craftsmen, both famous and still unknown. Exegesis, Theology and Biblic itineraries. The Word which feeds us. Science and Faith. The word in dialogue. Places which tell. Word becoming memory. Deepening of biiblic geography and archeoloy; focusing on biblic land with “Linfa dell' Ulivo” activities. 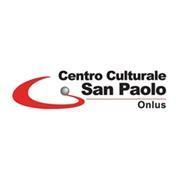 The “Centro Culturale San Paolo” (St Paul's Cultural Centre) was established in the 1990s and it is a nationwide spread non-lucrative association (ONLUS). It is managed and operated by voluntary people through local branches. Registered in 1999, it is officially enrolled as Voluntary Service Association in the section of “promotion of culture, learning, training and education”. It has been organizing the “Festival Biblico” (Biblic Festival) for ten Years in Vicenza and other Venetian cities. a steady attention towars the world of communication and to the surrounding realities (Communication week and Communication Festival, which will reach the 10th edition in 2015). the engagement towards a deeper knowledge of the Word of God and of the reasons of Faith (Biblic Festival in Vicenza and other Venetian cities). the effort of starting educational routes, mainly for young people. the promotion of cultural and social events. the recovery, protection and exploitation of artistic and historical goods and property. In particular in Vicenza the St Paul's Cultural Centre, besides managing educational events, workshops, solidarity events and meetings with emerging authors and artists, organizes and manages the Biblic Festival, as a result of the cooperation between St Paul's Society and the Diocese of Vicenza. It will reach the 11th edition in 2015. This event had its roots in the Venetian Region and has acquired a good reputation and a spread interest throughout all the nation. In the tenth edition of 2014 it has involved Vicenza and 10 towns in its Province, Verona, Padova and Rovigo. The 2014 edition, held from the 22nd of May and the 2nd of June, has seen more than 200 events, more than 170 lecturers, 10 exhibitions, 18 cities and towns involved and more than 300 voluntary people. So attracting more than 45,000 visitors. These figures cannot fully explain the real extent of the event, under the point of vue of the biblic spirit, the ethic consciousness and the proposed values. It is an experience which lasts during a whole Year and feeds the expectations for the following edition. Nevertheless also figures can testify the growing interest for an event which is nowadays promoted by St Paul's Society and the Dioceses of Vicenza, Verona, Padua, Adria-Rovigo together with the Cultural Department of the Church at the Vatican. During the tenth edition the theme was “The Holy Writ: God and men tell about themselves”. This has focused the attention on the connection between the Bible and the human tales, as a chorus of personal and social life towards community values. The main hub of the event was Vicenza at the Cathedral Square (piazza Duomo) to testify the close union between civil and religious life. This was meant to overcome walls and separations. Thus bringing the Bible as the ideal centre of every thoughts, among all the people crowding together in the churches, on the squares and on the roads while attending lectures, shows, dances, speeches, concerts, movies, tastings and sippings, workshops, exhibitions, meditations and entertainments.